Pega/PRPC is a famous rules engine and BPM tool from Pega systems that is having good market share among large corporations. In technical terms PEGA is a software suite which provides a organized methodology to construct and deploy process-oriented and rule based solution and applications. Business Process Management, Customer relationship management, Decision management and case management solutions are some of the instances where process and rules are essential part of application development. "Find out different modules of Pega tool"
Architects and developers construct the Pega/PRPC use cases while administrators and even chosen business analysts have the opportunity to alter workflow rules during runtime. What PEGA grants to a developer is a Designer studio which acts as an Integrated Development Environment (IDE) to construct applications. The excellent part in this Designer studio is web based so a developer can work and generate solutions from anywhere in the world. Pega tool main motive is to reduce the coding. So the lesser the code, the closer you are to the goal of a true BPM tool. The features of this tool for addressing business application is very friendly. In contrast to convectional BPM tools, there is very less complex, technical syntax to manage the modeling processes and barely any hard-coded programming. A expert business user can be trusted to generate a business application from this Pega BPM Tool if desired. This Pega BPM software suite has feature called "Case Life cycle Management" - which permits any business user to capture and process the flow of in their operations, be it document handling, approvals, decision making, etc. All these tasks can be built into a process flow to automate as much as possible. The most interesting part about Pega's BPM suite is its design-once, deploy-anywhere user interface. This saves lot of time and lot of effort is. And there is the capability to hook in business data and also tap on big data to get better decision making in any process flow. Other advantages include customizability, Very less Coding , adaptability to future needs and Quick Developments . 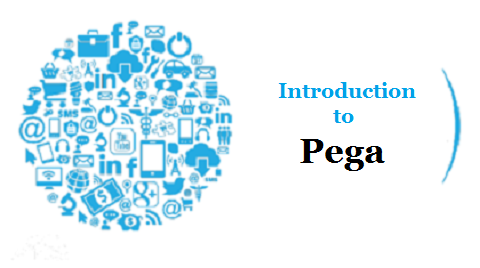 How to learn Pega technology? Like java and other technologies, Pega is not a open source, and the licensing cost is pretty expensive. Since it is not a open source, you do not find the documentation related this technology on internet. If you want to learn this technology we have to enroll with PDN or you can contact Pega Tool Training providing institutions PegaGang. PegaGang is providing the best Pega Online training. We provide two types of training Online and Self Learning Videos. And our course content is designed such that it meets the industrial standards and is up to date with latest versions in the market. For Self learning Videos support will be provided 24/7 similar to the Online Training. Our training and Materials are provided by real time certified working professionals. Nice post.Thanks for sharing this useful information. If you want to learn Angular js course in online, please visit below site. Nice and great article.Thanks for sharing this useful information. If you want to learn Pega course online, please visit below site. Nice post and very informative. Thanks for sharing..